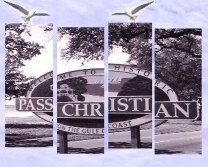 Pass Christian, in spite of its nationwide popularity, has remained a small community on the Mississippi Gulf Coast, reaching 6500 residents only in most recent years. Having an entrenched heritage since 1699, Pass Christian processed through changes of the guard and national banners from French, to English, to Spanish, to an Independent Republic, and then to the American flag. Pass Christian had emerged as a small fishing and commercial harbor and became a main trading center on the Mississippi Sound. Because of its proximity to New Orleans, the first Lighthouses in Mississippi were built as sister towers at Cat Island and Pass Christian in 1831, when it became the first mainland lighthouse in Mississippi. Because of the healthy ozone quality of the area and blending scents of salt breezes and piney woods, plantation owners, investment bankers, and brokers from New Orleans and upper Mississippi, established dual residences at the Pass. Tourists followed in their path bringing about the first Coast hospice of grandeur – the Pass Christian Hotel. This was where, in 1849, southern yachting was born as sailing competitors celebrated the first boating Regatta and started the second yacht club in the United States. The Yacht Club became a Mecca for sailing enthusiasts. Voyages at sunset, or by moonlight along the magnificent coastline, or to the nearby islands, or for the thrill of renewed regattas, have created a constant parade of billowing sails throughout the years. The longest operating newspaper, the Tarpon-Beacon, started in 1880 and closed in 1993. ---And, the Coast’s longest operating private library, the Town Library, operated from 1893 to 1996. The Pass also had an Opera House in its early days. Its Historic District, today, traverses the coastal beaches for three miles, revealing hundreds of antebellum and fine old homes that are listed in the National Register of Historic Places. The Pass has a Preservation Commission and a Tree Commission with alert members who are ever mindful of heritage and historic values. Scenic Drive is lined with Live Oaks, water oaks, and magnolia trees presenting a wonderful pageantry that borders the many architectural gems that are ornately guarded by wrought iron works or white picket fencing – providing a showcase of Victorian and Creole-Caribbean design. One of the most devastating moments in the town's history was that it was targeted for near destruction by Hurricane Camille in 1969. Popular annual events that attract many coastians and tourists are the St. Paul Mardi Gras Parade, the St. Patrick’s Walking Parade, the Spring Pilgrimage, -- the Blessing of the Fleet, -- the Tour of Homes,--- Jazz in the Pass festival, the Sea Food Festival, the Collage -- Art in the Park, -- Celebrate the Gulf, and Christmas in the Pass. Most of these events include food-fare ranging from fast-food items to specially prepared gourmet cuisine. These annual events are mostly cross-supporting and have some of the same volunteers who see the need to herald the community. In addition, there are many charity and support groups that participate in fund-raising for their pet community projects including their canine friends for Paws in the Pass. The Pass Christian Municipal Harbor is very busy with commercial boats that dredge the eight Oyster Reefs just off-shore and drag their nets for shrimp during the seasonal change. Visitors enjoy the benefits of the only harbor along the Coast that is so openly visible from the main highway. The Pass Christian Yacht Club doesn't fail in promoting regional and annual Regattas. Pass Christian is remembered as having organized Southern Yachting by initiating the second yacht club in the United States following New York. The small downtown section with narrow streets keeps traffic at a slow pace and is most inviting to tourists who are in search of antiques, crafts, or just strolling. Not to be missed, is the Museé Bourdin, a museum-in-a-plumbing shop, where thousands of photographs are on display as well as hundreds of cataloged heritage items on people, places and events of Pass Christian. Out of state visitors enjoy the cool Gulf breezes, the refreshing waters, and the sophisticated elegance offered only in Pass Christian. 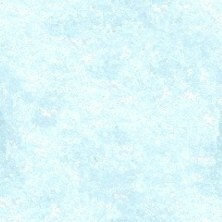 The many who return, frequently speak of the attractiveness of the Pass and the special allure that brings them back. Nestled upon a peninsula and surrounded almost completely by water and imbedded with springs, bayous, and canals makes the area most alluring to fishermen, golfers, and retirees. The small retirement settlement of Henderson Point is on its West, the small villages of DeLisle and the Kiln to the North, and the small City of Long Beach is at East --- leading to Gulfport, Biloxi, Ocean Springs, and Pascagoula along the Gulf shoreline beaches. New Orleans can be quickly reached by accessing Bay St. Louis on the West which is only one hour drive passing by the NASA Complex and through Slidell across Lake Pontchartrain at the Rigolets. Many photographs fill the web pages of the many sites suggest that you visit. Additional historic information can be viewed at City Hall, and a slew of other categories.